Rich Hill signed a Minor League deal with the Red Sox over the weekend. At first I didn’t think it was a great move, but he could prove an asset to the Red Sox down the stretch in 2014. Rich Hill’s career numbers in the Majors aren’t great. The guy is 24-22 in nine seasons with a 4.74 ERA. But here’s what I do like. He’s spent time in Boston. During 2010 and 2011 he made 15 appearances with a 1-0 record in that time. One of the biggest offseason talking points (and rightfully so), has been with regards to where the pitching is going to come from down the stretch. There were all too many occasions last year where the likes of Workman and Tazawa were unable to get the job done, and if we are honest, we were lucky to come out World Champions after some of their efforts at the tail end of the season. 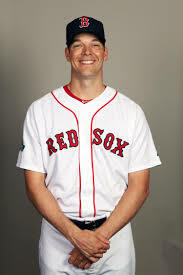 He didn’t post a winning record with the Indians last year, but he did have a strikeout to walk ratio of 1.75/1 across 63 games in the 2013 season. If he can replicate these numbers it will fall slightly below the team average from 2013, but as we saw on many occasions the breaking of a slump last series came from the success of another man on the roster. The Minor League deal promises that we aren’t going to chew up a lot of money on the guy, and when rosters expand in September, he is the kind of guy we are going to want. The experience he has and the form that he hopefully gets back to in the second half of the season are something that may be vital as we push towards being the first team to repeat this century. This entry was posted in Published on xavierplayer.com, Written and tagged Rich Hill. Bookmark the permalink.